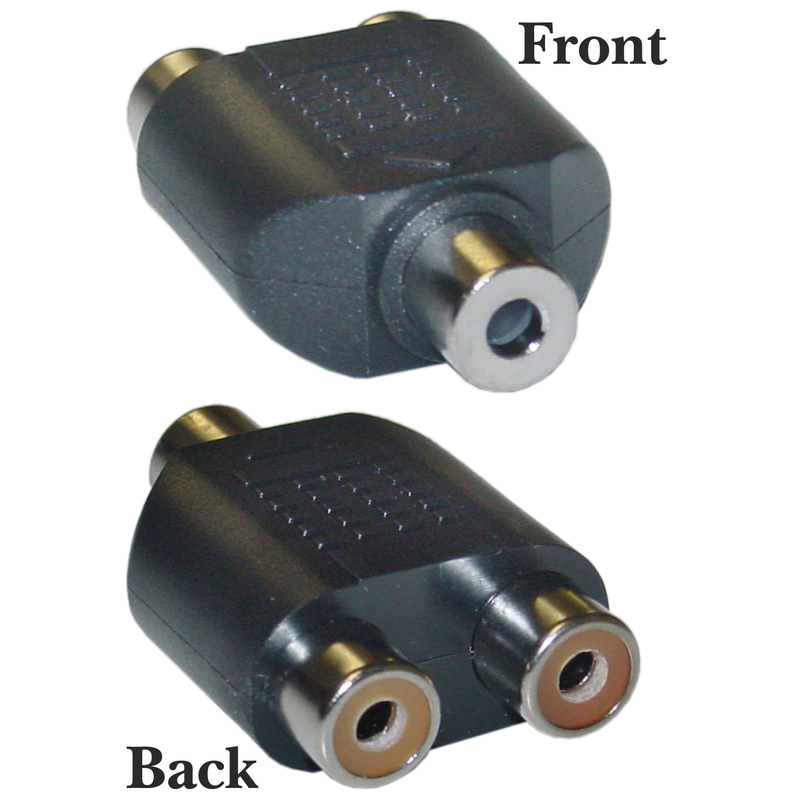 This adapter is used to send a right and left channel 2 RCA into one stereo 3.5mm headphone-style jack. This IS a good substitute for the item pictured in the catalog. MIND that you update the catalog. Seems to be a good adapter that will last. This should be a 5 star prduct. My only issue with it is that the two RCA jacks are the same color so you cannot tell left from right. Even if there is no standard for which should be left r right they should still be labeled (1 & 2?) so you can tell them apart. Works perfectly fine and just as described. It's compact and it does exactly what it's supposed to do. So far so good! Used this part with VGA cable to XBox to allow connecting PC flat screen video monitor. and this part allows the sound through external speakers or head phones. Solid adapter; currently using it to hook up my computer speakers / headset to my PS3's audio composite cables. Works well, noticing no quality degradation. Only downside is they really could have labeled which plug is right audio and which plug is left audio, but a quick experiment figures it out. Works. Fast ship. Exactly as pictured. I've been looking for these for months at electronic shops, and places like "RadioHut" (I don't know if I can put the actual company name.) They never have what I need not even online. And then I find it here. FOR LESS THAN A DOLLAR! This is just what I needed. THANK YOU CABLEWHOLESALE! Good for using headphones on a tv without a jack. Exactly what I asked for!